Today, I wanted to share my experience with my latest hydrafacial. I’ve mentioned this before, but I’m struggling with adult acne which has been frustrating. When I shared this with Cosmeticare, they recommended that I get a series of Hydrafacials to help improve my skin and the breakouts. Beth Jones here again talking about my experience as a Cosmeticare Mom Ambassador. So far this year, I've received two botox treatments and two hydrafacials. Today, I wanted to share my experience with my latest hydrafacial. I've mentioned this before, but I'm struggling with adult acne which has been frustrating. When I shared this with Cosmeticare, they recommended that I get a series of Hydrafacials to help improve my skin and the breakouts. For this visit, I was seen by Sarah which I loved because she has also done my botox and has seen some of my skin issues. 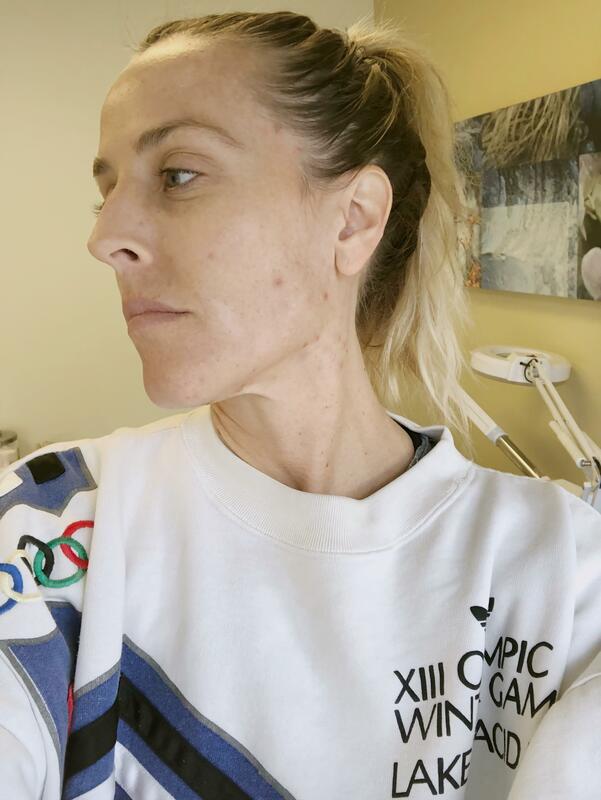 For the Hydrafacial she started with some extractions, which gave her the opportunity to really see my problem areas and offer some advice on what might be causing some of breakouts. My problem area seems to be my jawline and my neck, which Sarah explained was a hormonal issue. With her advice, I will be seeing a dermatologist to try to work on my hormonal acne. 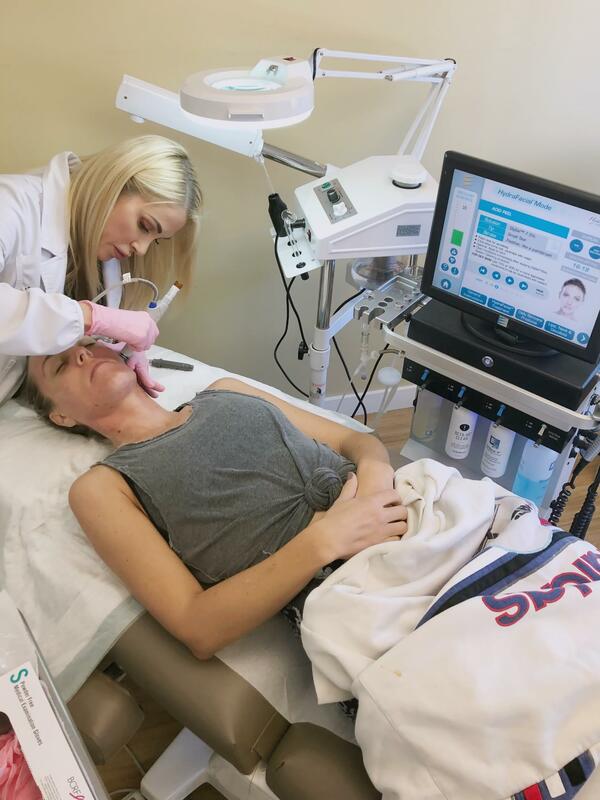 After the extractions, Sarah began working with the Hydrafacial machine which I love! It works to remove anymore dead skin or clogged pores that I have. Then she treated my skin with two more passes using the Hydrafacial machine which worked to restore my skin's glow and hydrate my skin. The facial only took about 30 minutes and when I left my skin was tighter and brighter! I still have two more facials, and I'm excited to see more results and share them with you. The photos below are what my skin looks like before the facial. I will be sharing what my results look like after I have consistently been treated with the Hydrafacial.